Wow! That's one great costume. What's the significance of the headdress by the way? It looks heavy. very nice, thats an awesome costume !!! I like the delegate, but I don't like the costume. Too much and too messy.
" Have a nice day"
Message: A great pageant webborad. I like her face too, so charming and so cute. Message: congratulations for your big effort of making this GOOD and BEST forum...keep it up. Last edited by 0dracir on Thu Jul 30, 2009 3:23 am, edited 1 time in total. the hair dress it is somewhat like Panama's National Costume.. 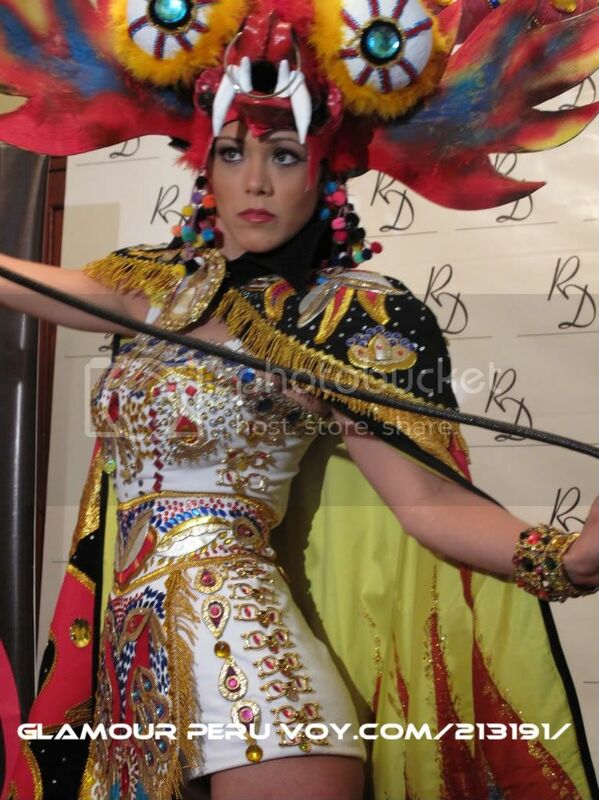 The Diablada puneña is an integral part of Peruvian Andean-theatrical repertoire. It began during the Spanish colonization to teach the local natives the precepts of Christian faith and history of the Spanish Empire. In the Puno Department, in southeastern Peru, the diablada led to a reform in the thinking of the missionaries of the time, with symbols of angels and demons or devils. 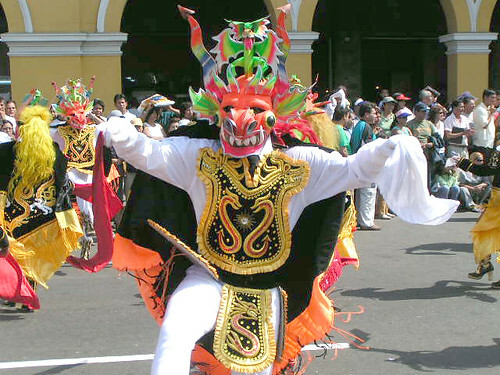 According to Diego Gonzalez Holguin, author of Arte de la Lengua Aymará y Vocabulario General del Perú the performances owes itself to the work of the Jesuit missionaries in the town of Juli in Puno, using forms of native song and dance whilst providing a unique representation of the seven deadly sins and the triumph of the angels over demons. 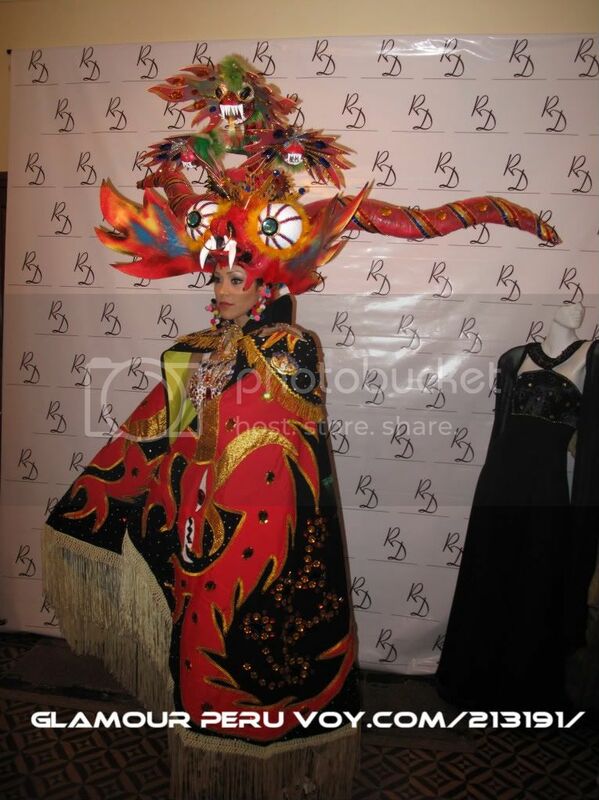 0dracir wrote: The Diablada puneña is an integral part of Peruvian Andean-theatrical repertoire. It began during the Spanish colonization to teach the local natives the precepts of Christian faith and history of the Spanish Empire. 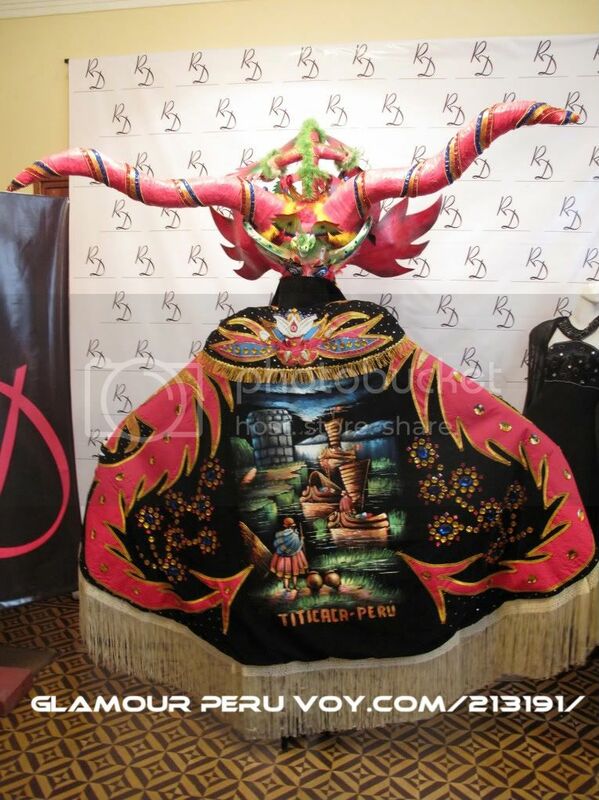 In the Puno Department, in southeastern Peru, the diablada led to a reform in the thinking of the missionaries of the time, with symbols of angels and demons or devils. 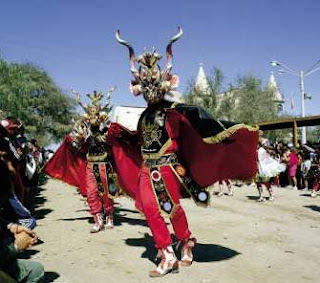 According to Diego Gonzalez Holguin, author of Arte de la Lengua Aymará y Vocabulario General del Perú the performances owes itself to the work of the Jesuit missionaries in the town of Juli in Puno, using forms of native song and dance whilst providing a unique representation of the seven deadly sins and the triumph of the angels over demons. don't mention it, therefore they inquire and they do not call carnival suit because it is a stylisation of a Peruvian typical suit. For those people who keep on judging costumes negatively, just respect it. You don't even know the culture or any significant representation of it but you always keep on saying that it's too much or messy whatsoever. Are you guys a fashion critique? (sans to those who REALLY have sense of taste). I am sorry but I'm always reading bad comments about National costumes. It is only acceptable if a forumer knows and understands his country's culture. I'm just saying this as a professional. AND MISS PERU IS SO HOT!!! Hobbies/Interests: Relax, Listen to music, workout, SOCCER, etc. Message: I'm a superstar now!! !